Bali was an Indonesian province that was recognized by the world because the beauty. Some people outside Indonesia even knew Indonesia from Bali. It was famous with the beautiful landscape. There were many beautiful spots. Such us sunset in kuta beach, sunrise in sanur beach and also the gorgeous dreamland beach's natural were some interesting charm in Bali. The arrival of visitors to one of the world's charm always showed awesome. There were so many things that could be enjoyed by visitors in Bali besides the beautiful nature. Bali had combine natural beauty, art and culture of the local communities of interest. The beauty of owned by Bali, making Bali was chosen as one of the best island in the world in 2015. Bali was chosen as the best tourist island to 7 world. 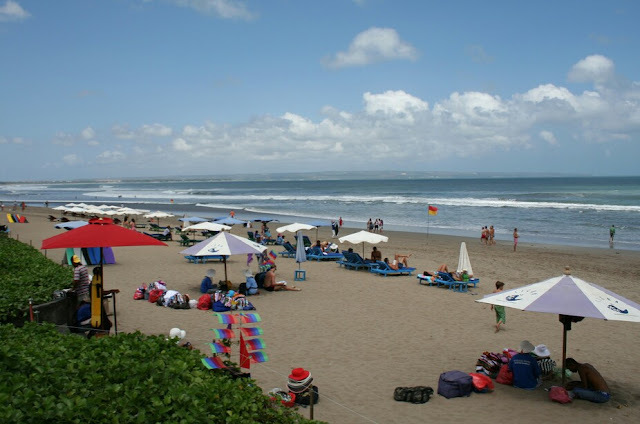 Its beauty was also consistent with a population that was welcoming and friendly to visitors went to Bali. The Indonesian government was still very rely Bali to increase tourist arrivals to Indonesia. 0 Response to "The Charming of Bali"